Easter has always been a magical time for everyone. Despite different religious beliefs, the season calls for joyous celebrations. For Catholics, Easter Sunday marks the resurrection of Jesus Christ. For some, it is the start of spring blooms, while for parents, Easter is a special Sunday to take their kids out for Egg Hunting! 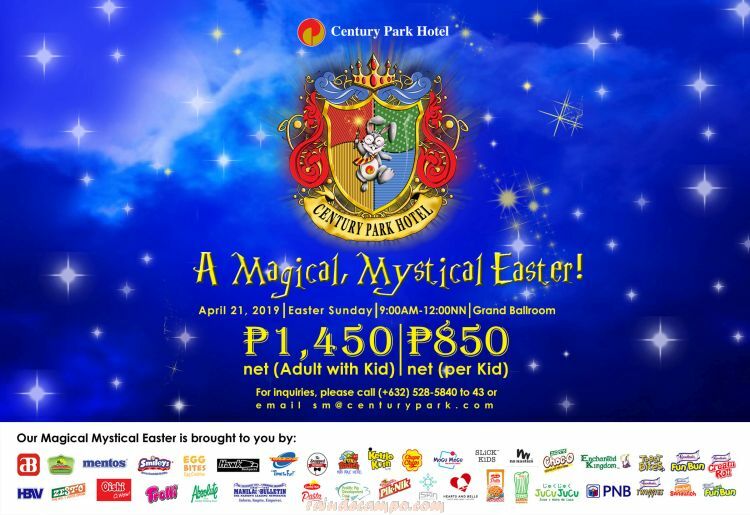 On April 21, 2019, Century Park Hotel one of the leading hotels in Manila, invites you and your family to spend your Easter Sunday at the hotel’s Grand Ballroom for a magical Easter experience. Take part in “A Magical, Mystical, Easter” Egg Hunting from 9am to 12nn for only P850 net per kid or P1,450 net for a kid and one accompanying adult, inclusive of food and loot bag. Ticket holders are also entitled to a 50% discount on lunch and dinner buffets during Holy Week (April 14 – 21, 2019) by simply presenting their ticket. 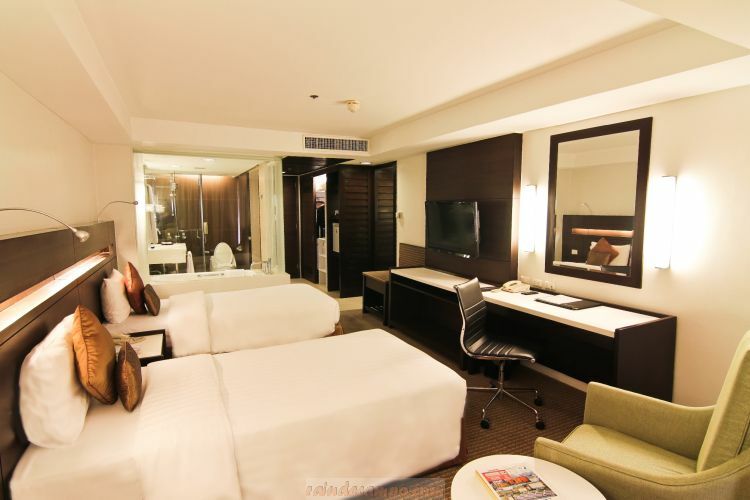 Additionally, families can also enjoy an overnight stay at a Superior Room for P4,800 net, Deluxe Room for P5,800 net, and Jr. Suite Room for P6,800 net per night. This includes a free breakfast for two and one Easter ticket for one kid and one accompanying adult, worth P1,450. The room special is valid from April 15 – 22, 2019 only. What are you waiting for? This is the perfect time to swish your wands and unlock a magical and mystical Easter with your family this April 21, 2019!